Investing in the Houston real estate market is an excellent plan. It is an effective way for homeowners to find property that fits their needs while also expecting the value to increase over their lifetime there. 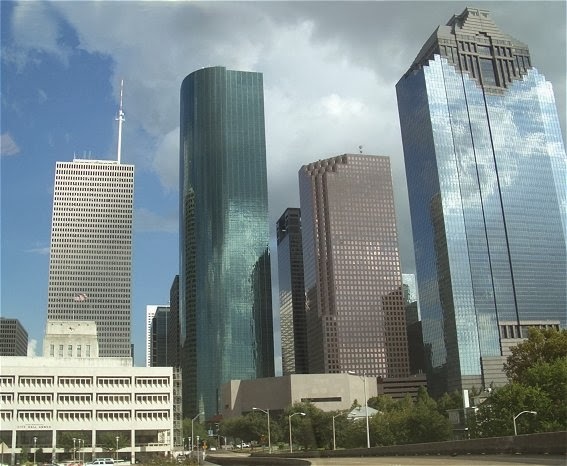 And, for property investors, including those who plan to flip properties and rental property owners, Houston, Texas has incredible opportunities available. In short, real estate in Houston is booming. There are many reasons why purchasing real estate in Downtown Houston, is ideal right now. Below are some of those reasons. With so much promise, it may be a bad decision to even consider not investing in the area. Buying a home now is wise. Waiting will likely bring higher prices with it, which could impact your overall ability to get the home you desire. Buying now also ensures your home's value will rise in the short term. For those who want short term investments that will turn a profit, this could be the route to take. For both of these reasons, especially in the downtown Houston area, it's wise to move now rather than wait. Real estate investing in Houston is an excellent opportunity for today's buyer simply because Houston is the place to be. Just take a look downtown and you'll see the promise present. You'll see the cranes building new apartment complexes and the development of larger structures for new business. You'll also notice that a lot of office space is going in. All of this will need employees to fill positions. For the investor, this means people are moving into the city and owning property there could help you to see a profit as a direct result. The New York Times reports that employment is up by 3.7 percent in Houston compared to just 0.7 percent in New York City since 2008. That's an impressive number of jobs coming into one of the largest economies in the country already. The same report indicates that 3.9 million square feet of office space is under construction right now. The energy sector is bringing with it good jobs. As a result, housing here is also booming and the long-term outlook looks promising. Check out a few more reasons why real estate in Houston is the place to be as an investor or home buyer. Mortgage rates are low and expected to remain that way. They may increase slightly, with expectations that the Houston area will see rates at abotu 4 percent on average for 2013 and 4.6 percent in 2014, according to the National Association of Realtors. Inventory isn't holding up to demand. While property is still available, it is not as readily available as it was just a few years ago. This will help to push housing values higher overall. Home sales are incredible, with mid-October year-to-year data indicating an improvement of 23.5 percent in the number of homes sold. Today's real estate investor in Houston has plenty of reason to buy. Waiting too long could mean that the buyer will see higher prices and higher mortgage rates. That could be why so many people are buying now. About the author: Don Stevens Google loves local food and unique experiences in great places across the U.S. and Canada. He helps people discover new trends, restaurants, and offers tips in different cities. Traveling to different areas can help when purchasing a home. He recommends Mason Real Estate Company for finding properties in the downtown Houston area. They are helpful and always provide quality service to find the home of your dreams.